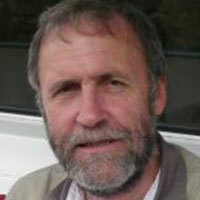 Gerry Rodgers is presently Visiting Professor at the Institute for Human Development, New Delhi. He has an M.A. in Mathematics and Economics from Cambridge University and a D.Phil. in Economic Development from Sussex University. For over thirty years, he worked with the International Labour Office in a variety of positions, including Director of the International Institute for Labour Studies. He was Technical Director of the World Commission on the Social Dimension of Globalization (2002-04), and one of the authors of its report. He was also the principal author of a book on the history of the ILO that was published for the 90th anniversary of the organisation in 2009. His work has mainly been concerned with poverty, inequality, labour, human resources and employment, especially in India and in Latin America, and he has published widely in these fields. His current research is concerned with inclusive development in Bihar, where he has been undertaking studies for over 40 years, and with the differing experiences of labour market inequality in Brazil and India. Recent publications include: Aligning social and economic goals in emerging economies: Employment and social protection in Brazil, China, India and South Africa (editor), New Delhi, Academic Foundation, 2013; “Economic Crisis and Inequality”, Indian Journal of Human Development, 2012; The challenge of inclusive development in rural Bihar (with A. Datta et al), New Delhi, Manak Publishers, 2013; “Contrasts in Development in Bihar: A Tale of Two Villages”, Journal of Development Studies, 2014 (with A. Datta et al. ).